In order to accomplish its mission and objectives, the Human Health Organization works together with experts, scholars, professionals and officials who have made essential contributions to addressing global health issues, promoting health care and improving human health. HHO conducts the following programs. 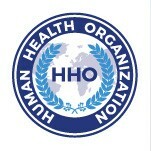 HHO hosts and organizes international health forums and workshops to debate critical health issues, explore advanced health concepts, research and practices, and promote awareness of important health issues in the context of the global development agenda and the UN Sustainable Development Goals, in particular SDG No. 3 “Ensure healthy lives and promote well-being for all at all ages”. HHO drives passion for health into daily lives, both in the academic community and for the general public. It advocates and promotes advanced concepts, practices, and culture of health to people around the world, by disseminating important health news and updates in the forms of online news articles, health bulletins, workshop and forum proceedings, etc. Working with the academic community and industrial counterparts, HHO supports and facilitates R&D in selected areas of health, i.e. prevention, treatment, healthy nutrition and others. Based on research and through consultations with international standard authorities and agencies, HHO may propose and promote certain guidelines and good practices, as well as treatments found in traditional medicines. The Human Health Organization supports the objectives outlined in the UN Sustainable Development Goal No. 11 regarding inclusive, safe and resilient human settlements. It collaborates with local, regional and national authorities, representatives and officials from related UN agencies and other structures to discuss pertinent issues in the area of sustainable cities and communities, among other UN development themes, through a series of workshops and forums. A special focus is given to the role that health plays in sustainable cities and development of new, healthy cities. Collaborating with the scientific community, businesses, governments and civil society in countries around the world, HHO accomplishes its objectives through establishing and promoting various, including public-private and academic partnerships.